Cat Ba Island is the largest island in Halong Bay. The rugged, craggy and jungle-clad island is one of the most family-friendly vacation spots in Vietnam. It is no doubt that the island is becoming more modern with hotels and services booming, but many attractions in Cat Ba Island are still untouched, including idyllic Lan Ha Bay. Beloved for white smooth sandy beaches and abundance of natural treasures and wildlife, Cat Ba Island is an ideal destinations for families in Vietnam holidays this summer. 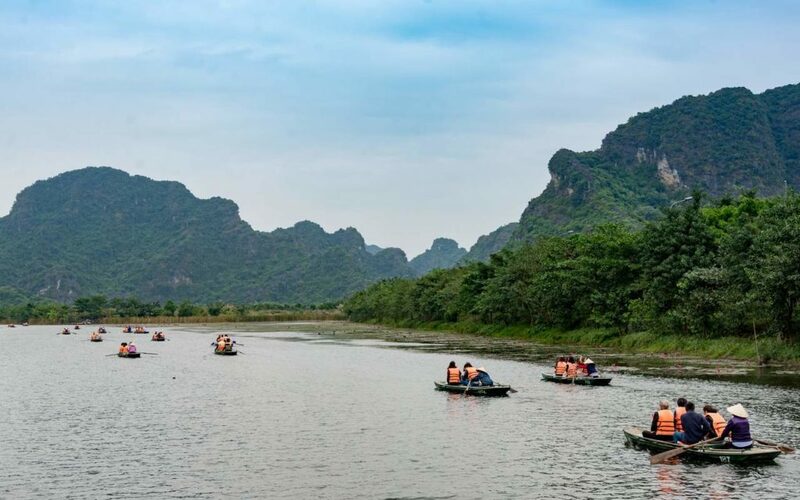 If traveling by coach/long shuttle to Cat Ba, the simplest and shortest way is getting on a Hoang Long coach from Hanoi to Cat Ba. Besides, travelers can get the island by speed boat at Ben Binh tourist wharf, after getting off the bus at Lac Long Bridge. If traveling by motorbikes, you drive to Hai Phong City, and then ask for direction to Dinh Vu – Ninh Tiep Ferry, and Cai Vieng Ferry. It takes from two or two and a half hours to reach the island. Car and motorbikes can can be loaded by these two ferries. There are six big ferries and six smaller-size one working with 37 turns/day and the capacity of nearly 2000 passengers. Dinh Vu Ferry is open from 6:30 to 17:00 with the frequency of 1 hour/turn, while that at Cai Vieng Ferry is 30 minutes/turn, open from 6:00 to 18:00. The distance from the ferry terminal to the town center is about 20km. Those from Halong Bay to Cat Ba Island can travel on Tuan Chau Ferry running to Gia Luan pier. Though traveling with Tuan Chau ferry can be somehow convenient, it wastes quite much waiting time if traveling during May and August, sometimes it is overloaded. If arriving late, you have to wait for one to two turns. There is another way to save time for those who want to visit Cat Ba after Halong Bay tours. It is boat transplantation. The Tuan Chau ferry is often closed at 15:00. Thus, there is no chance to reach Cat Ba Island after 15:00 every day from Halong Bay by boat. Some popular hotels in Ca Bat Island are Cat Ba Beach Resort, The Whisper of Nature Bangalow, Sunrise Resort, Cat Ba Palace Hotel, Hai Long Hotel Cat Ba, and Hung Long Harbour Hotel Cat Ba Island… There are two traveling seasons in Cat Ba Island: low season and high season. During low season, the hotel rate is about 150,000 – 300,000 VND (7-14 USD)/room. During high season, the rate fluctuates from 300,000 – 500,000 VND (14 – 23USD). To know more information of hotels in Cat Ba Island, you should call first. If you come here during low season, you do not have to book in advance, just come here and ask directly. Almost tourists come to Cat Ba in summer to enjoy the cool and turquoise sea water. There are two most famous beaches near Cat Ba Town: Cat Co 1 Beach and Cat Co 2 Beach (about 1km from the town center). These beaches captivate tourists as their spacious and comfortable. Besides, Cat Co 3 Beach or Tung Thu Beach is a great choice for your family when enjoying Vietnam tours in Cat Ba Island. Yet, Tung Thu Beach does not have too much waves like other beaches, as the beach is surrounded by islets. To make your family vacation more interesting and unforgettable, you should hire a boat to explore Lan Ha Bay, enjoy beaches in the bay or Monkey Island, and free kayaking. Unlike beaches near Cat Ba Town, beaches in Lan Ha Bay are more beautiful and less crowded. Lan Ha Bay is located in the south of Halong Bay. 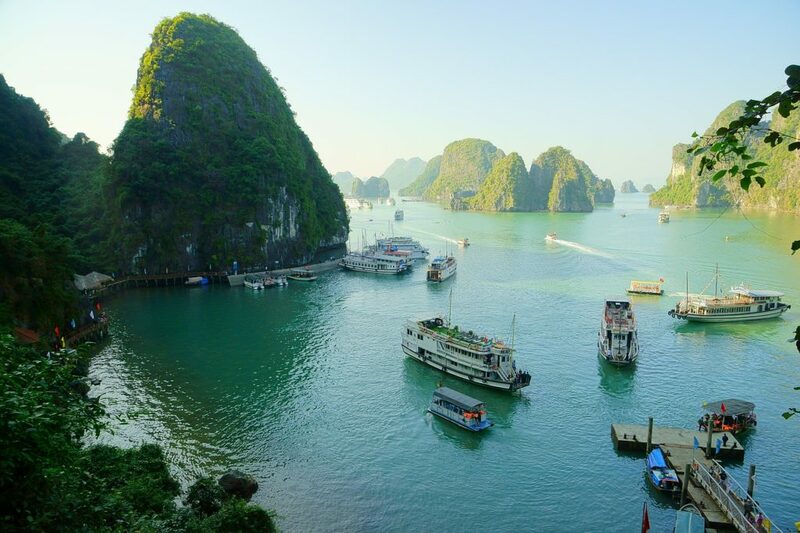 Initially, you will see Lan Ha Bay looking like Halong Bay; yet, the bay still has its own unique features. 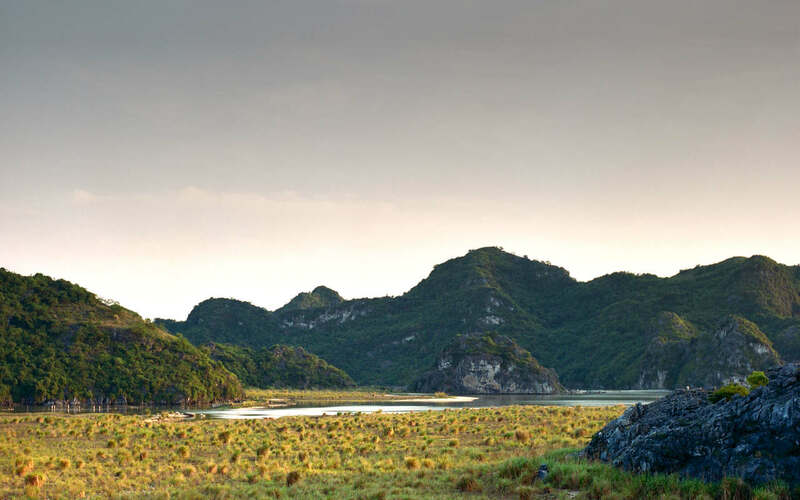 There are some small islands with sand fields at the foot of limestone mountain blocks. Here, you can drop by to wander along the sand fields and enjoy the cool sea water of these pristine beaches, visit Cai Beo Floating Village – the village has been existing for thousands of years, or drop by Three Peaches Island and Monkey Island. From Lan Ha Bay, tourists can travel to Viet Hai Fishing Village by boat; it takes about 45 minutes. It is possible to travel by motorbikes or bicycles through 6km of forest road to reach the village. Some tourists having good health condition can approach Viet Hai Fishing Village on foot. 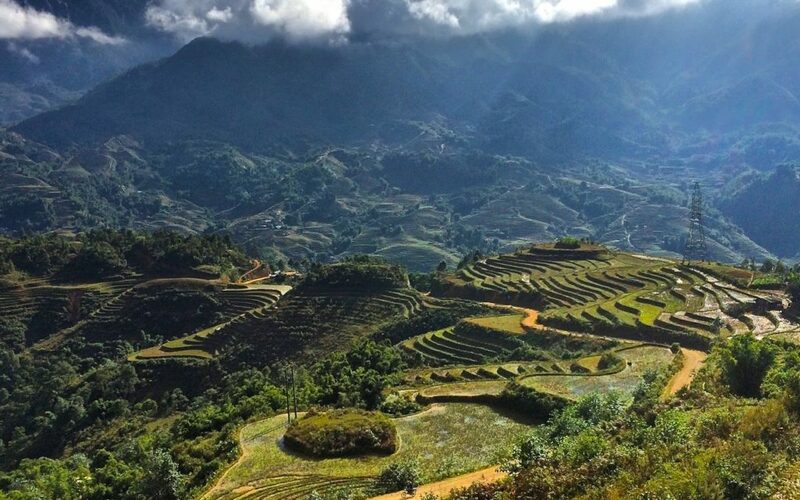 The village is surrounded by high mountains and old jungles of Cat Ba National Park. Notably, there are few domestic tourists coming the village, yet Viet Hai increasingly attracts foreign tourists. Local people in Viet Hai Village remain their “pristine” life, though there are convenient restaurants and stores for tourists. Families can hire motor-taxi to Cannon Fort near Cat Co Beaches to contemplate the entire view of Cat Ba Island from high above. From the Cannon Fort, Cat Ba Island appears wonderfully and put all your senses in sight of the island’s beauty. Cat Ba Island is grasped all in your view. At sunset, the beauty of this bay is more breathtaking. Like its name, Monkey Island is the home to hundreds of lovely monkeys. Here is an ideal place for your kids to be lured into the interesting time of exploring more about the nature. Cat Dua Beach in Monkey Island is the most beautiful and cleanest beaches in Cat Ba Island. In front of the beach, there are majestic mountains, creating a striking scenery. The distance from Cat Ba Town to Monkey Island is about 2km as the crow flies. You can book a book at Monkey Island Resort and then experience the friendly-nature life in this island. , walking is the best choice. Some tourists adoring to wandering along the roads connecting three most popular beaches to feel the cool of sea wind and free your mind.